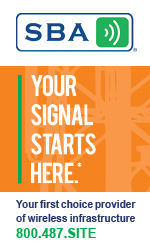 The National Association of Tower Erectors (NATE) announced today that FCC Chairman Ajit Pai and FCC Commissioner Brendan Carr are confirmed to deliver keynote addresses at the NATE UNITE 2019 Conference in Grapevine, Tex. taking place Feb. 4-7, 2019 at the Gaylord Texan Resort & Convention Center. The event is widely regarded as the premier and most comprehensive educational event and trade show in the wireless and broadcast infrastructure industries. Chairman Pai is slated to speak on Wed., Feb. 6 during the NATE UNITE 2019 Awards Luncheon sponsored by T-Mobile. Pai was designated Chairman of the FCC by President Donald J. Trump in January 2017. He had previously served as Commissioner at the FCC, appointed by then-President Barack Obama and confirmed unanimously by the United States Senate in May 2012. Commissioner Carr is scheduled to deliver keynote remarks on the evening of Mon., Feb. 4 to kick-off the event’s welcome reception sponsored by Ericsson and the Texas State Wireless Association. Carr was nominated to serve as a Commissioner of the FCC by President Donald J. Trump and was confirmed unanimously by the United States Senate on August 3, 2017. He was sworn into office on August 11, 2017. On January 2, 2019, Carr was reconfirmed as Commissioner by the U.S. Senate for a full term. 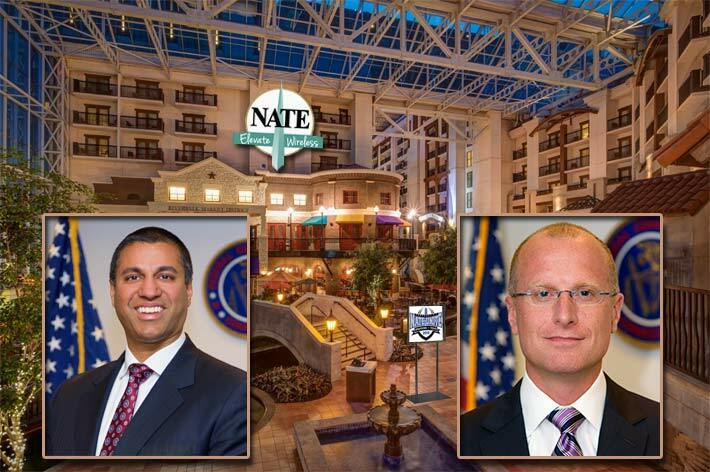 “On behalf of the Association’s over 815 member companies, we look forward to welcoming Chairman Pai and Commissioner Carr to NATE UNITE 2019,” stated NATE Trade Show Committee Chairman Joel Hightower of Hightower Communications, Inc. in LaGrange, N.C. “During their tenure of service at the FCC, Chairman Pai and Commissioner Carr have gone above and beyond to conduct visits to tower sites to gain a great understanding and appreciation for the vital role that tower technician crews and the contractor infrastructure community both play in elevating wireless and enabling a connected society. During these keynote addresses, NATE UNITE 2019 attendees will be able to hear first-hand the important role the FCC is playing to help pave the way for a 5G future, close the digital divide by expanding rural broadband deployment opportunities and ensure a safe and efficient broadcast repack transition,” added Hightower. To view the schedule of events, visit HERE. Companies interested in NATE UNITE 2019 sponsorship and exhibiting opportunities are encouraged to visit HERE. Individuals interested in attending NATE UNITE 2019 can sign up the following Registration Link. Attendees interested in participating in the Tower Family Foundation Golf Invitational are encouraged to register HERE. The Association noted that the keynote speaker line-up is subject to change and could potentially be impacted by the partial shutdown. Prior to joining the Commission in 2012, Mr. Carr was an attorney at Wiley Rein LLP, where he worked in the firm’s appellate, litigation, and telecom practices. He represented clients in both trial and appellate court proceedings, including complex litigation involving the First Amendment and the Communications Act.